Human rights abuses are accumulating at The Coca-Cola Company. That makes Coke a serial offender when it comes to failing to respect the human rights of workers and acting to remedy abuses. The right of all workers to form, join and be represented by a union for collective bargaining is an internationally recognized fundamental human right. In Indonesia Coca-Cola bottler Amatil pursues its long running attack on the rights of independent, democratic trade unions (for more read here). In Haiti its bottler La Brasserie de la Couronne continues to systematically deny workers their right to form and be represented by a union (read more here). In the Philippines major Coca-Cola bottler FEMSA is violating fundamental rights while it brutally destroys employment. Mass layoffs with little explanation or justification have been accompanied by a refusal to engage in meaningful collective bargaining with the Federation of Coca-Cola Unions (FCCU) that represents a majority of Coca-Cola workers in that country (see more information here). In the USA the Coca-Cola Bottling Company of Northern New England hired an expensive consultancy firm that publicly states “We represented management at employee meetings with the objective of persuading subject group of employees at Coca-Cola Bottling Company of Northern New England in Greenfield, Massachusetts to remain union-free”. 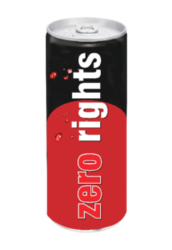 While it has been repeatedly informed of these ongoing rights violations by the IUF, The Coca-Cola Company has failed to take any meaningful action to remedy the abuses. Coke’s systematic human rights due diligence failure make it complicit in these abuses, and a rights abuser in its own right. Abuses are not limited to the bottling system. In Ireland, The Coca-Cola Company had earlier closed its directly owned, strongly unionized concentrate plant (where the “secret formula” syrup is manufactured) in Drogheda and has recently announced the closure of a second union plant in Athy while refusing to engage with the union at the remaining concentrate plant in Ballina, where a large number of production workers want to be represented by the IUF-affiliated SIPTU. USE THE FORM BELOW TO SEND A MESSAGE to The Coca-Cola Company, insisting the company act to remedy the growing number of human rights violations within the Coca-Cola System.